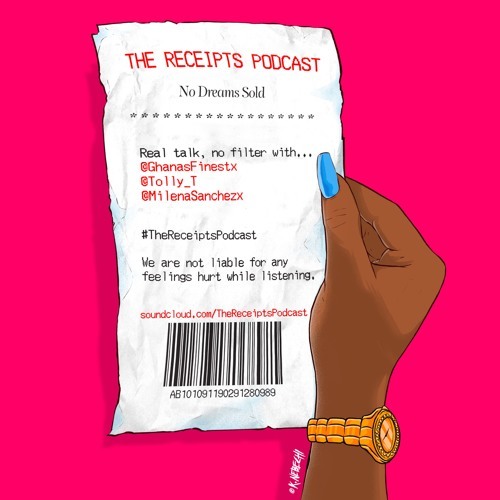 #TheReceiptsPodcast is a fun, honest podcast fronted by three girls who are willing to talk about anything and everything. From relationships to situationships to everyday life experiences, you can expect unadulterated girl talk with no filter. Hosts: Ghana's Finest Twitter: @Ghanasfinestx Instagram: @Ghanas_Finest Tolly Twitter: @Tolly_T Instagram: @Tolly_T Milena Sanchez Twitter: @Milenasanchezx Instagram: @milenasanchezx Get in touch and share your receipts with us, keepthereceipts@gmail.com.